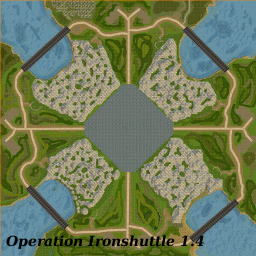 Operation Ironshuttle is a modified 4 vs 2 Player map. Two Players are in the middle and have to defend a Shuttle. The game contains a 30 minute counter, in which the attackers have to destroy the shuttle. I got the idea for this map from the last Allied mission. 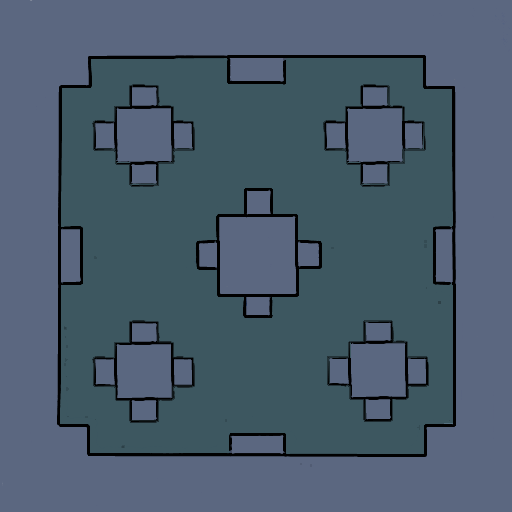 This map is designed for 6 players in a 2v2v2 set up. The set up should include a North-West team, a North-East team and a Southern team. 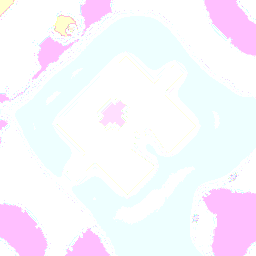 The map was not created as a symmetrical map, and as such there are variations to the start choices affecting defensibility, access to team-mates and expansion routes. The water players are under constant pressure and will require quick thinking to survive, whilst the land players will need to balance aiding their team-mates and pressuring the other land players to prevent them accruing a critical mass of high-tech units. Each player has one logical expansion, with 3 other contested expansions occupying the outskirts of the map, surveillance and repair tech structures also occupy contested territories in the map. This is a large 4 player map with not much land to build on, and no places to hide. While playing on Quadtron, you must expand to avoid getting overrun. Players start in each corner of the map and have to make their way towards the middle if they want to gain more resources and tech structures. Around the outside of the map there are some buildings to garrison. Also, in the middle of the map there's a veteran upgrade structure. Play on water and air, conquer the center map and go further! This map is a 5 player Skirmish map. Money collection is at a reasonable level with the many Oil Derricks and Ore Nodes available. This is a map for 3v2 games, 3 players on the bottom and 2 players on the top. The 2P side has more Orenodes than the 3P side, and on the top they have their own Airport, Ship Yard and Defensive Technology Structure that help protect the way to the 3P side. 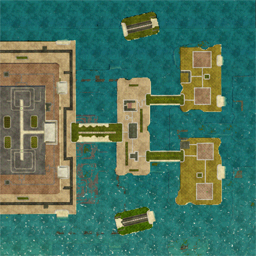 In the middle of map is an island fortress that can be accessed by bridges. know about that map and you have been in ra3 more then year, who the heck are you? data to their allies. This means that the 2 players need to protect this oversized facility for 30 minutes. over, and hack into the intelligence, they will win! And in this newest version 1.5, visual is now much more beatiful and greater thanks to SPIDER_PIG_ROCKS! Host and wait, because it will be full pretty quickly, and we'll meet you on the battle field! 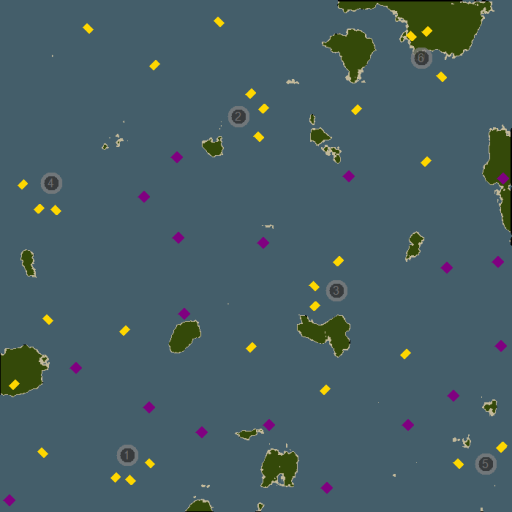 Fight for land and atack with Navy and Air Force!